I have tried to photograph superb fairy wrens in the past but they are notoriously quick and flitty, so many photos end up as foliage with no bird in sight! This time I was fortunate enough to find a family – mother, father and 3 sweet little babies. As the young birds were just finding their wings the protective parents keep close-by attempting to keep thie little brood in check and away from harm. This was an advantage for me in that they stayed close to their less active young near the ground in amongst the denser foliage. 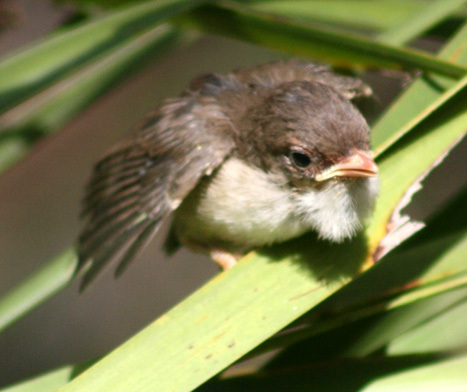 The male bird can be seen feeding his offspring in one of the photos below. 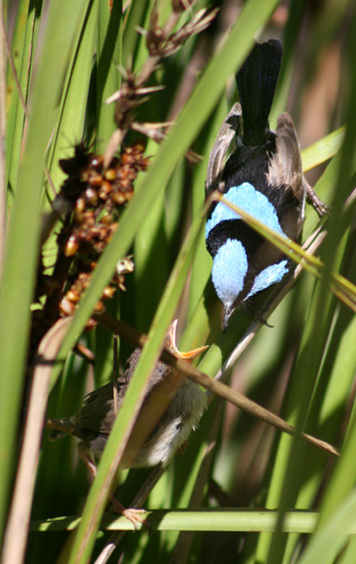 The blue wrens call matches their size and personality – a high pitched ‘trill‘. 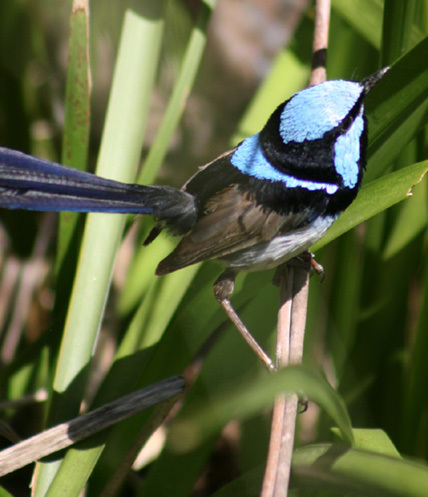 The male bird has the beautiful blue colouring. These beautiful tiny birds are also amongst my favourites – a friend called them his heart’s delight. They are soooo difficult to photograph but you’ve got it down to a fine art, Lyn. That chick is the most delightful little thing I’ve seen for ages! Hello Snail, It was such a good morning! There were 3 babies in all but this was the sweetest photo! The father bird was just so attentive and fussed around his brood – the mother was there as well! I also read and enjoy your blog!